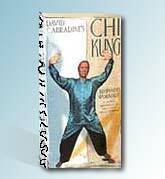 David Carradine introduces the basics of Chi Kung in an easy to follow video. David Carridine guides you through basic Chi Kung exercises that remove tension and stress. Chi Kung means "energy skill" and was created 5000 years ago in ancient China. It was a way to find inner peace, harmony, strength and health. Chi Kung also increases your flow of energy through simple and gentle exercises.